Happy Friday! I hope you had a great week. I had a lovely week filled with quite a few photo adventures. Last Saturday I photographed a first birthday smash cake session that was mermaid themed. It was a total blast! I realized that I really really enjoy creating these magical and a little over the top scenes and I LOVE photographing the little ones. It just occurred to me that I should blog about it. It was really quite cool... Sunday, I took my mom to the Anderson Japanese Garden to check out the autumn colors. Spoiler alert! It was beautiful. And on Monday I went to the Botanic Garden to check out their fall colors and to scope out some locations for an engagement session I'm shooting next week. This weeks photos are super fun. 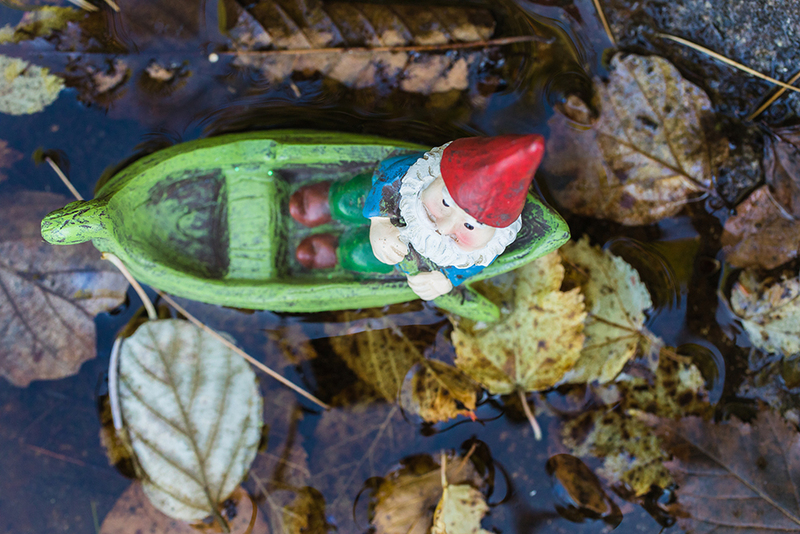 I've been taking my normally quiet little gnomes out and about with me and photographing their antics. They are quite an adventurous bunch! I hope you have a lovely weekend filled with lots of adventures, even if they are smallish!